Two in three Australians are diagnosed with skin cancer by the age of 70, while many more battle skin conditions such as eczema, psoriasis, rosacea and melasma. Although irritating, these conditions are usually manageable through ongoing treatment. But can they make it harder to spot a potential skin cancer? Can a doctor treat your skin condition and skin cancer simultaneously? Here is a break down of these conditions and how they can impact your skin cancer diagnosis and treatment. Affecting around six per cent of the global population collectively, eczema and psoriasis are inflammatory skin conditions that present with similar symptoms. 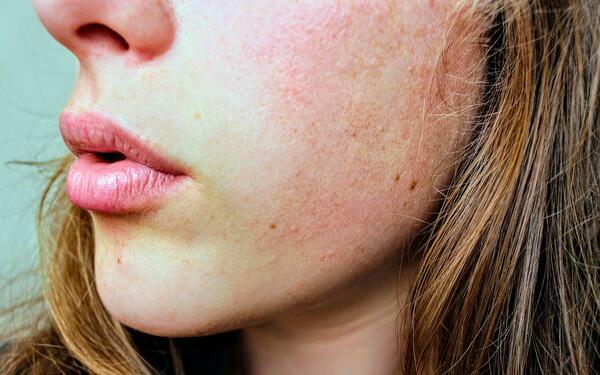 Eczema manifests in red, scaly plaques on the skin; over time, the skin can become itchy, thickened and form nodules. Psoriasis mirrors these symptoms and can also include pustules on the hands and feet. Due to inflammation and scaling, a skin cancer diagnosis can be delayed if you have eczema or psoriasis. Treatment can also be more difficult because inflamed skin can harbour bacteria, which may be introduced to the treatment site and delay healing. Most doctors will remove skin cancer on inflamed skin unless it is infected. If your surgery is delayed, the area can be treated with oral and topical antibiotics prior to the procedure. Topical medications including corticosteroids used to control eczema and psoriasis should be stopped during skin cancer treatment, as they can hinder skin healing. Corticosteroids delay your body's immune response which can increase infection risk and promote cancer cell growth. Typically, you can resume using topical medications several weeks after surgery. In addition to topical medications, these conditions can be treated with controlled doses of UV light, which helps improve itching, although this increases your risk of developing skin cancer. People with eczema and psoriasis may be sensitive to sunscreen; however, you can and should still use sunscreen. Sunscreens that contain zinc oxide and titanium dioxide, labelled specifically for sensitive skin, are recommended. Rosacea is another inflammatory condition that affects around 415 million people worldwide. It causes redness, visible blood vessels and bumps, mostly on the face. Rosacea can both imitate and mask skin cancer; two common skin cancers, basal cell carcinoma and squamous cell carcinoma, often also appear as red patches on the skin. Late detection of skin cancer can lead to many complications including disfigurement, scarring, or the spread of cancer cells to other areas of the body, which can be fatal. While it can be difficult to distinguish between skin cancer and rosacea, skin cancers are more likely to bleed from minimal contact (such as washing, shaving or towelling), whereas rosacea usually will not. Medications are available to control rosacea, and sun protection should be part of any treatment plan. It's important to treat symptoms continuously because, if the skin is badly inflamed, it can make removing a skin cancer more difficult and result in a higher risk of recurrence. As rosacea can mask skin cancer (even under a microscope), the doctor may need to perform multiple surgeries to ensure the whole tumour is removed. Melasma is characterised by large brown spots on the skin, predominantly affecting women. It is triggered by UV exposure, pregnancy and other hormonal changes, making it harder to treat than other forms of hyperpigmentation. Given its colouring, skin cancer can hide in patches of melasma. Melasma is often treated with lightening agents like hydroquinone, which can also lighten the appearance of a tumour and make the borders less distinct, making it harder to detect and treat. Removal of skin cancer on melasma-affected skin is generally the same as if it were on a clear part of skin, although determining the margins for excising the tumour can be more difficult. As a precaution, the doctor may remove more skin than usual. Topical medications to treat melasma shouldn't interfere with skin cancer removal, but some advanced therapies (such as laser or chemical peels) should be avoided before, during and after the procedure. Sunscreen is an important therapy for melasma and can prevent the pigmented cells from appearing at all; it should be used head to toe. If you have one of these skin diseases, you don't inherently have an increased skin cancer risk, but it can make tumours harder to detect and treat. It's important that you visit your skin cancer doctor every 12 months for a full-body exam. In between visits, make sure you check your skin at home for any new or changing spots, and pay close attention to areas of inflamed or pigmented skin.